Herbalife today announced that it has reached an agreement with Carl C. Icahn .... As part of the agreement, Herbalife will increase the size of its Board of Directors from nine to eleven members immediately before the 2013 Annual General Meeting of Shareholders [and] will nominate two individuals to the Company&apos;s Board of Directors, designated by the Icahn Parties and approved by the Company&apos;s Nominating and Corporate Governance Committee. 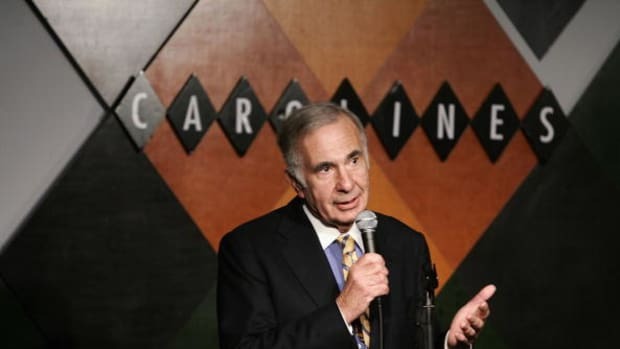 Under the terms of the agreement, the Icahn Parties have agreed to, among other things, abide by certain standstill provisions and vote their shares in support of all of the Board&apos;s director nominees. The Icahn Parties have the right to increase the size of their ownership position in Herbalife up to 25% of the outstanding common stock. While today’s announcement suggests Icahn will hold greater sway at Herbalife, a full acquisition may not be in the cards, Thomas Graves, New York-based equity analyst at S&P Capital IQ, said today in a telephone interview. Presumably with Carl Icahn on your board you&apos;re more likely to look for shareholder value via financial engineering? Again, don&apos;t listen to me, but one plausible interpretation of Icahn&apos;s motives is that he wants board seats to agitate for and influence a recapitalization or a sale of the company to someone else - and that Herbalife were willing to give him those board seats to have an ally that process rather than an outside annoyance.4 Because if there&apos;s one thing the Ackman/Icahn/Herbalife saga has proved, it&apos;s that Carl Icahn&apos;s desire and ability to annoy remains undimmed. 1.Umm so there was a time in my life when I negotiated, like, a thousand standstills. You need this provision! It sounds absurd and everyone pushes back on it, but: if you don&apos;t have it, then Icahn comes to you and is like "I want you to waive the standstill because I will buy the company." Then what? You&apos;ve got a fiduciary duty to consider it. You can get sued if you say no too quickly. You might even have to disclose that you&apos;ve gotten the proposal. You&apos;re screwed, that&apos;s what. The standstill is worthless. Gotta have him say he won&apos;t ask for a waiver. Of course, what&apos;s your remedy if he does? 2.Right? I mean ... right? 3.He can also respond to any third-party attempt to buy the company, including with a tender offer of his own. 4.But if the company is sold in the next six months, Icahn will probably have to give up some of his profits, and taking board seats makes that more, not less, of a problem.